In conjunction with the Chinese Lunar New Year this year, Jas Hennessy & Co., better known simply as Hennessy, has collaborated with notable emerging artist, Guangyu Zhang, to create a magical work of art symbolising the natural and beautiful cycle of life – a dream of past and present, heaven and earth. In his unique collage commissioned by Hennessy to usher in the Year of the Boar, the circles are meant to represent fulfilment and perfection. Meanwhile, the two concentric circles set the scene and are an artistic representation of Hennessy’s famous double distillation process. Drawing from the time-proven codes of Hennessy, the possibility of a better life is portrayed by the ship navigating across the lake; laden with a special gift – the Hennessy Cognac. En route to the heart of the Chinese, the ship arrives at the most auspicious time of the year. The ancient Chinese see the world as a flat earth under a dome-shaped sky. The auspicious creatures – the boar, the crane and the goldfish – move together harmoniously, as Hennessy delivers the essence of the natural world to the people. 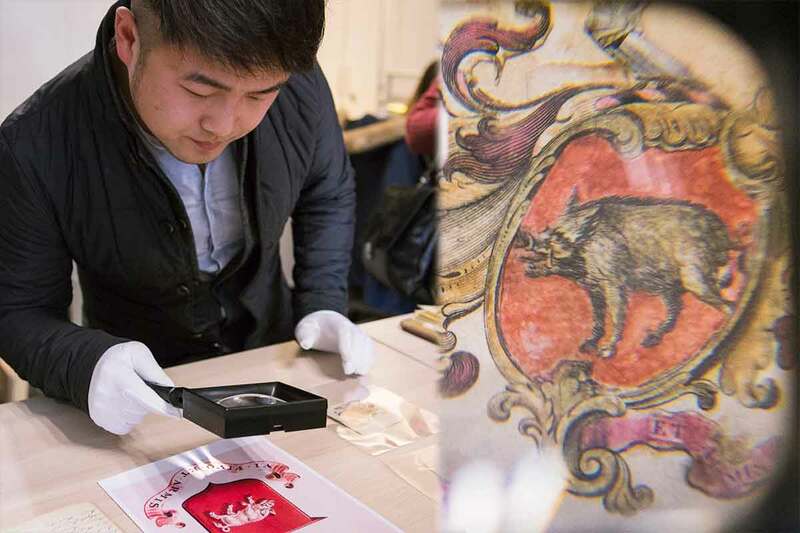 Take a closer look at the artwork and one comes face to face with all the symbols representing the themes of the 2019 Chinese Lunar New Year – the Year of the Boar – and Hennessy. This includes an image of a boar, a Chinese lantern and barrels of cognac. Video courtesy of Jas Hennessy & Co.
Guangyu Zhang was born in Shanghai, China, and mostly works from there as well. Before continuing his studies in the United Kingdom (UK), he earned his diploma in art and design from the China Central Academy of Fine Arts in Beijing, China in 2009. He graduated from the Central Saint Martins College in 2012. Apart from being on the “One to Watch” list, Saatachi Art also selected Guangyu Zhang as one of the “Best of 2014″. Guangyu was a finalist in the ArtGemini Prize exhibition in 2013 at London’s Rebecca Hossack Gallery, and was selected for the international emerging artists exhibition “Continental Shift” at the Saatchi Gallery in April, 2014. His works are displayed in the digital screens for the exhibition “Source Collage” at the Tate Britain in London in August, 2014. He has also had a number of solo exhibitions all around Hong Kong, China and the UK. 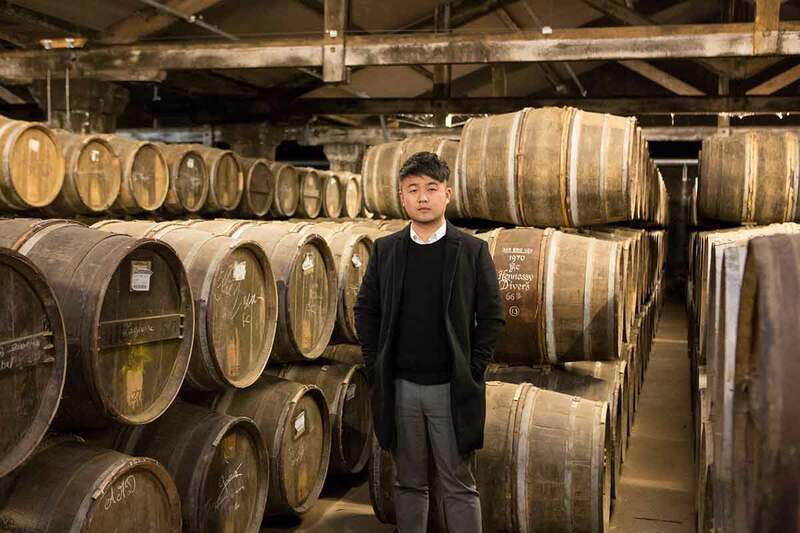 On working with Hennessy, Guangyu Zhang said that he wanted to translate the feeling he found in cognac into colour and sense, and to capture the moment by blending colours to visually express the taste of the blend, happiness and fortune.